Univisit's seamless technology allows independent hotels and hotel chains to use custom pricing algorithms to create dynamic pricing for all distribution channels. 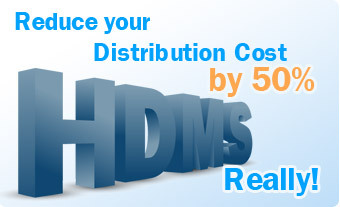 The Brand Website Module of our HDMS is connected seamlessly, allowing the chain website's reservations to be the most profitable reservations. The combination of our hotel Chain Distribution Management System (HDMS) coupled with a robust web marketing plan will substantially increase direct reservations and thereby by-passing all other sales channels. Click here to zoom in and see a website example. The Univisit Brand Website includes dynamic packaging, travel agency reservation system, Loyalty Points Program, Corporate Travel System, Event Reservation and Management System and geo-mapping functions. Significant reduced cost for reservations made through the Chains own Brand Website. No GDS Connectivity cost because this is a direct distribution channel to the client. Hospitality Dynamic Packaging (sell Hotel room, spa services, car rental, etc. in a single reservation). Personalize special rates and your hotel’s room inventory for the GDS and the Hotel’s Website or use a single rate model for all distribution channels. Increase revenue through sales commissions on car rentals, spa services, tours, etc. Travel Agency Reservation and Management System. Agents can look up reservations history, cancellations, changes and commission payments. 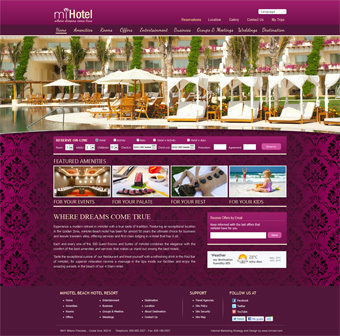 Corporate Travel Management System. This system provides easy access to trip information and itineraries for all the members of a group or business. Event Reservation and Management System. This system allows private access to reservations for events on your hotel with one or more separate activities. It is especially useful for conventions, reunions, weddings and other closed events. This system is unique to Univisit and can be used in conjunction with the Dynamic Packaging module. Client profile system including reservations history. Ability to easily add new Hotels to the system. 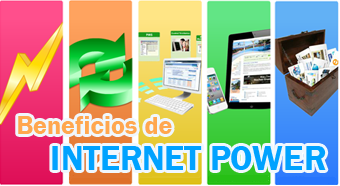 Manages promotional rates and “night-free” rates. Our technology includes an excellent administration system that makes content generation and maintenance an easy task that includes a valuable tracking and statistics program that captures the behaviors of customers up to the point of making a reservation, as well as the reservation information itself. These statistics are indispensable tools in the decision-making process.